Just arrive and unpack your bags! Leave your worries at the door, walk in and feel like family in our spacious country homestead. Accommodation is lodge-style with share facilities, games room, drying room and laundry. This option is great if you want the comforts of home and prefer someone else to do the cooking! Have your hearty country breakfast in the morning, and after your day on the slopes, arrive ‘home’ to relax by a crackling fire while we do all the work! Appetisers at the bar and a three course meal to follow. Just remember to BYO! Rooms are serviced daily. There is even a separate games room for the kids. During the summer months- October through to June we run 3-5 day horse riding safari tours and camping, with over 46 years of experience, we offer a fabulous opportunity to explore Koscuisko National park on horse back- Cover up to 160 km on our 5 day treks, with sightings of our famous brumbies frequent, cross crystal clear rivers and gaze over the hidden valleys from atop of a mountain. Enjoy a picnic lunch and a reviving billie tea, then, when the day is gather around a campfire under a million stars, while you tuck in to your delicious 3 course dinner prepared by our marvelous Irish chef. We provide everything, no need to pack a tent we've got it covered, comfy mattress provided, hats and chaps, and oil skin coats and sleeping bag for your choice of rental. For winter we're just 40 minutes to the ski slopes of Selwyn Snowfields beckon. Renowned as the perfect family and learn-to-ski area, it offers the most competitive range of value ski holidays in the snowfields. For the more advanced skier Perisher Blue Skitube is approximately 90 minutes’ drive from Reynella. 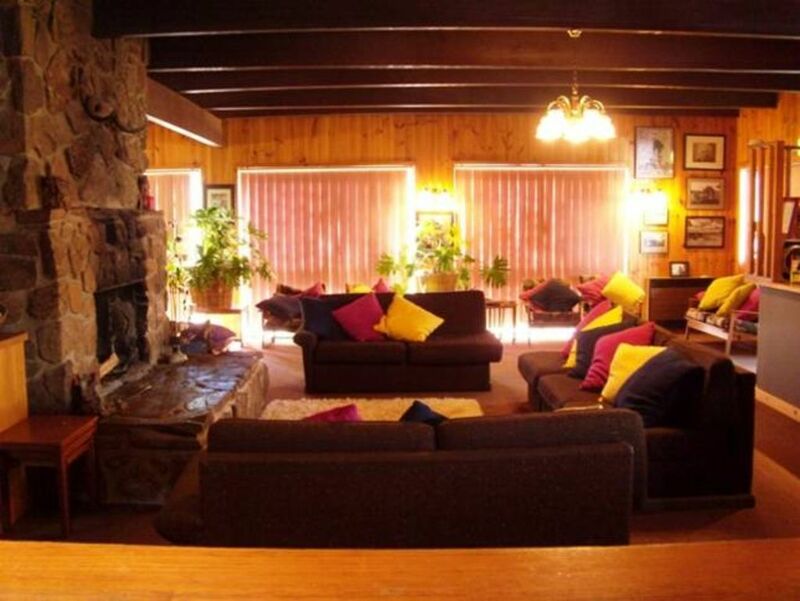 Reynella farm holiday lodge is a working sheep, cattle and horse property operating approximately 6000 acres of country, set in the foothills of the Snowy Mountains just 9km from Adaminaby, and 40 minutes drive to Selwyn Snowfields. Holidays based at Reynella Homestead provide a relaxing and friendly atmosphere of renowned country hospitality or a full on adventure! What is included in our Reynella rate? Our rates include 3 course country dinners with nibbles, accommodation, full cooked breakfast, BYO alcohol. The price of $130 is per adult, per night. Prices for children will depend on the age of the child. Drying room for winter ski gear, commercial laundry, games room with TV and pool tables, common room with TV, informal dining / lounge with large stonewall open fireplace. Organise a group booking for discounts on our advertised rate. What is lodge style accommodation? Clean, comfortable lodge rooms with shared facilities, ( bring your dressing gown ) all linen provided with electric blankets on all beds, heaters in every room, wood fire in common rooms, rooms serviced daily. Alternatively, we offer the Coombe Homestead which is a fully self-contained home (including all linen and towels) that sleeps up to 14 people. Coombe is the same easy trip to Selwyn and the surrounding attractions, but allows you the space to look after yourself for a simple $350 per night for up to 10 people, or $390 per night for 11 to 14 people. For more details see Stayz property 191090 - Coombe Homestead. Horseback Safaris in Kosciuszko National Park,NSW with Reynella Rides in operation for 46 years. We are an ADVANCED ECO TOURISM ACCREDITED Operator. T-QUAL Australian Tourism Quality Assured. Experience the unsurpassed beauty of Kosciuszko National Park on horseback with ‘Reynella Kosciusko Rides’. In operation for our fortieth year, the safaris cover the inspired Banjo Paterson’s “The Man From Snowy River”. Ride the land of mountain horsemen, brumbies, wildflowers and Alpine wilderness. We believe there is no other holiday like it! Gaze from a mountain top at breathtaking Alpine scenery with its rolling plains, fresh, cool mountain stream, and carpets of wildflowers. The area unchanged by time has a wealth of nature’s treasures, hidden caves and valleys and natural watering holes, just waiting to be discovered by you. Experience the sheer delight of a dip in a crystal clear mountain stream only accessible on horseback, canter across the plains where wild bush horses roam, explore limestone caves and historic high country huts. Enjoy bush picnics, meals of mouth watering trout, steak, roasts cooked by camp oven, desserts and billy tea. At night sleep under the stars in our roomy tents on thick mattresses, contented and rested from your day in the high country. What is the duration of your safaris? When is your safari season? We cater for all levels of rider from beginner to advanced. All riders will have plenty of opportunity to ride to their ability in a safe and controlled manner. Our leaders offer guidance and tuition on route and we find that beginner riders can gain confidence whilst the competent rider can refine their skills. As horse riding is a physical activity a certain level of fitness will be required. Reynella is proud of its ability to match horses with riders. All horses are bush wise with strength and stamina to work in all terrains. Our trek leaders are AHRC certified with years of experience behind them. Where will we be riding and how much riding will we be doing each day? Reynella covers country in the Northern end of the Kosciuszko National Park. Providence, Tantagarra, Currango Creek, Long Plain, 17 Flat, Jones Plain, the Cherry gardens, Murray Creek, Kiandra Goldfields, 4 mile creek, Broken dam, Jones Plain, Oldfields Hut and sections of the Cooktown to Melbourne Bicentennial National Trail. All rides are approved by the NSW NPWS within the Kosciuszko National Park Plan of Management and are supported by pack horse or 4WD. We cover up to 160km on a 5 day safari. Whilst we do not guarantee that you will see brumbies on our safaris we cover country where brumbies frequent and are commonly seen and photographed by our guests. D/B/B—3 course dinners with nibbles, full breakfasts, 1st & last night accommodation at Reynella homestead, camping in KNP, tent, mattress, chappets, 3 or 5 full days horse riding, helmets , willing horses and Australian stock saddles ( or all purpose ). OPTIONAL: Bum Bag ( can be purchased ), Gloves, Leggings/Chaps, pillow, pantyhose to prevent chaffing, musical instrument, saddle, BYO Alcohol. We thoroughly enjoyed our stay, the rooms were snuggy and clean - the bathrooms and facilities were also top notch. Such a lovely family atmosphere, plenty of things for the children to do and a beautiful open fire for me to rest by, the food was so homely and there was always plenty of it! Thank you kindly, we very much enjoyed having you.